The Lampedusa Crosses are made by Francesco Tuccio, an Italian carpenter, from the wreckage of boats washed up on the Italian island of Lampedusa. All of the migrants who were on these boats perished. The Cross is a reminder of the terrible suffering of these people. 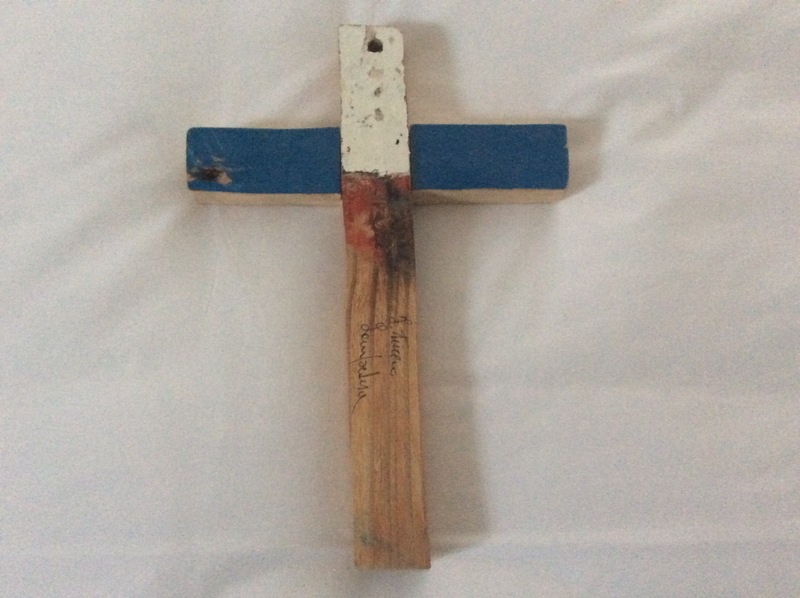 Pope Francis visited Lampedusa to highlight the migrant crisis and he carried one of these crosses in the Good Friday procession in Rome – a symbol both of suffering and of the death-defying compassion of Christ. Last week in Rome was full of symbolism – much of it expressive of the long journey of reconciliation between Catholic and Anglican Churches. Each of us who was there received one of these crosses – a sign that in the end justice and compassion are more important than the faltering movement of churches towards one another.